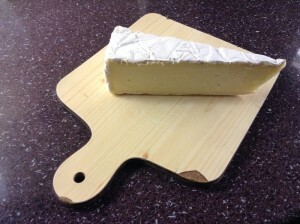 O Brie, how I have missed you! Since my last post, I’ve done some further dairy experiments, starting with a larger dose of Manchego cheese. Then the first cow’s milk challenge in the form of Parmesan cheese on a bolognese. Then a few days ago I had some vegetables fried in butter. Yesterday some cream in lunch and a little Brie after dinner. Through all this Zoe’s sleep has been absolutely atrocious. But that’s entirely because her nose is blocked. There’s no sign of any gut upset or crankiness that can’t be explained by tiredness. I’ll keep increasing gradually, in case we run into a threshold effect. But so far, unless there’s some way dairy can cause a snotty nose, it’s looking very promising. One Response to "Further dairy attempts"
Some people *do* think dairy causes excess mucus production; I’m not sure how true that is, but I do know it’s not recommended when you have a cold.